This sleek and tapered 16 oz stainless steel travel cup is a perfect fit in the hand. With the strip of visible stainless steel on the bottom, you'll be feeling classy! Say goodbye to lukewarm beverages with this vacuum sealed and double-walled travel cup to keep your drink hot or cold for hours! 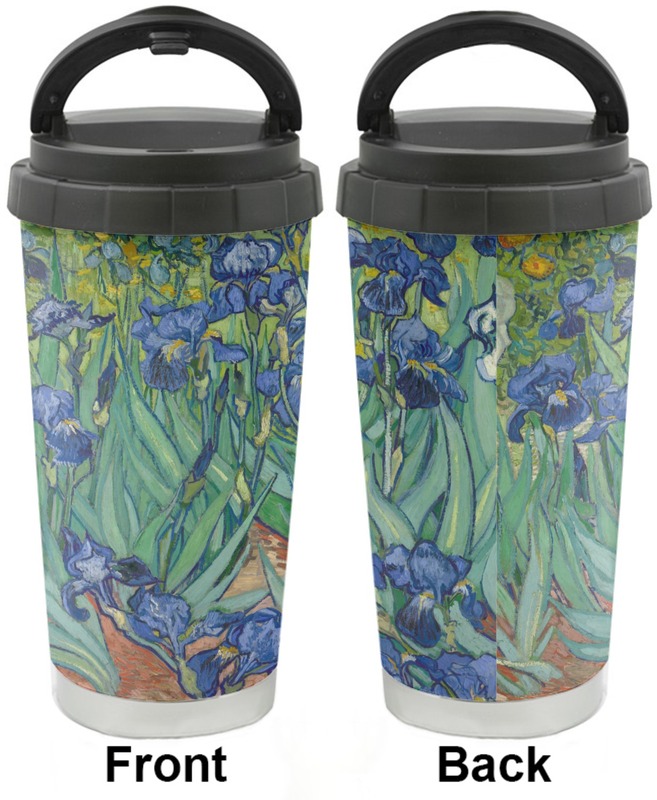 This is the perfect cup to take with you on the go. 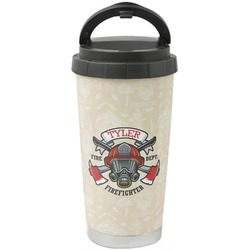 The lid screws tightly on the top of the cup in order to prevent any unwanted spills and leaks. The opening in the lid closes by a snap on piece that fits into the opening, but also serves as a handle when popped up to make carrying a breeze. Make sure not to put your travel cup in the dishwasher or the microwave. Wash with warm soapy water before use and never use bleach when cleaning. Browse the variety of designs on our site to get the perfect design for you! Make sure to personalize it by making every detail fit you. My New Favorite Go Cup! Gorgeous! The excellent design of the top is secure and spillproof. Stainless steel inside is easy to clean!